Somedays, it feels like I could drown in all my emails. Maybe you can relate. A concert of dings and chimes from my phone and Mac ceaselessly announce an endless stream of unread email. Yet, for most people, email remains the best way to stay in touch with co-workers and clients. So this hell of notifications and spreadsheet like organization is just another part of adulthood, right? And then the Mailbox App came into the scene a few years ago. 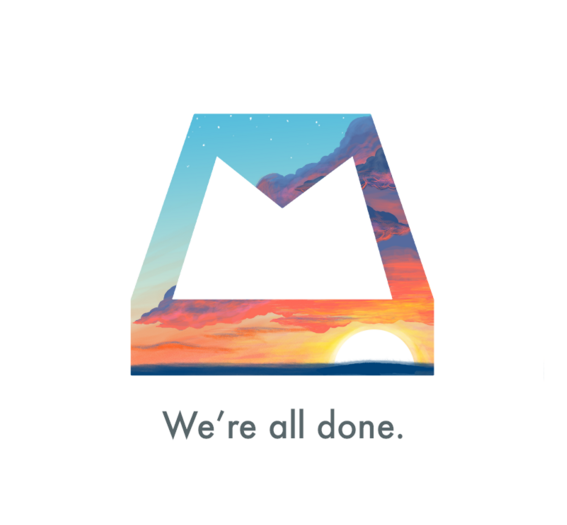 For me, many of our staff, and millions of others, Mailbox fixed all our email problems. My productivity soared. My inbox was clean and neatly organized. Mailbox turned email into a game, as each day, you raced to get to zero. And then it was gone. 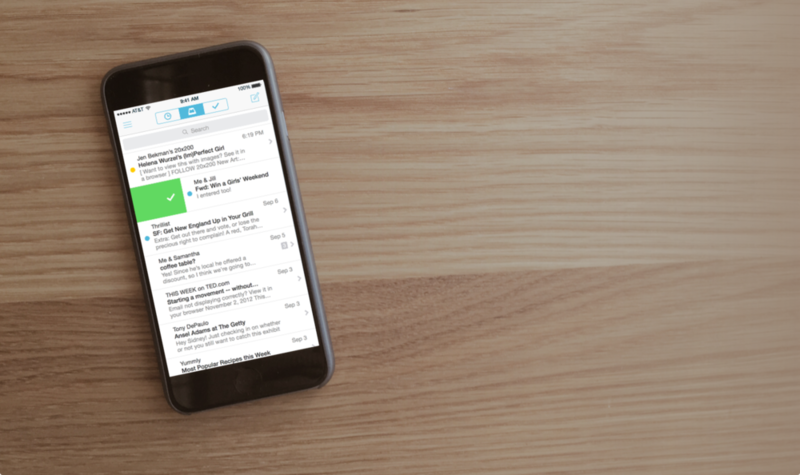 At the end of this month, the Mailbox app will be closing its inbox forever. Thankfully, the innovations made by Mailbox have been rolled into many new email apps. For the first time (maybe ever), there are several great apps out there for staying on top of your email without devoting your life to managing your inbox. So whether you're like me and mourning the loss of Mailbox, or looking for a way to get ahead of your email stream for the first time, here are few great tools for all of us. Airmail has been around for a while as a aesthetically pleasing, but under powered Mac app. But as of this week, they've released an amazing update, as well as an app for iPhone and Watch (iPad coming soon). What makes Airmail so great? It's not only beautiful, it is the most customizable email app I've ever seen. In other words, if you loved the features of Mailbox or Sparrow or any inbox app out there, you can easily customize Airmail to be what you want it to be. In my case, I love my swiping gestures and snooze features from Mailbox (swipe right to archive, swipe left to snooze, for example), and I loved treating my inbox as a to-do list. Airmail can do all of that, and the customization is deep. It also integrates well with services like Google Drive, Dropbox, OneDrive, Evernote, Omnifocus, and many others. For the last 2 months, I've faithfully used Microsoft Outlook on my iPhone and iPad. It's wildly different from Outlook on any other platform, and it is amazing. Borrowing from Mailbox, Outlook for mobile also relies on the "get to zero" strategy with a (limited) snooze feature. Something really great and unique about this app, though, is that it splits your inbox into two categories: Focus and Other. Focus is a list of your emails that definitely matter - things like messages from co-workers, clients, family, and senders that Outlook learns you deem important. "Other" is everything else. And this separation between emails that matter and emails that don't works really well. I have loved it. It works with Microsoft, Gmail, iCloud, and most IMAP, but many of the features (like calendar and files) really only work for those using the Microsoft cloud services. As of early 2016, many consider CloudMagic to be the best email app to be compatible on all major platforms. 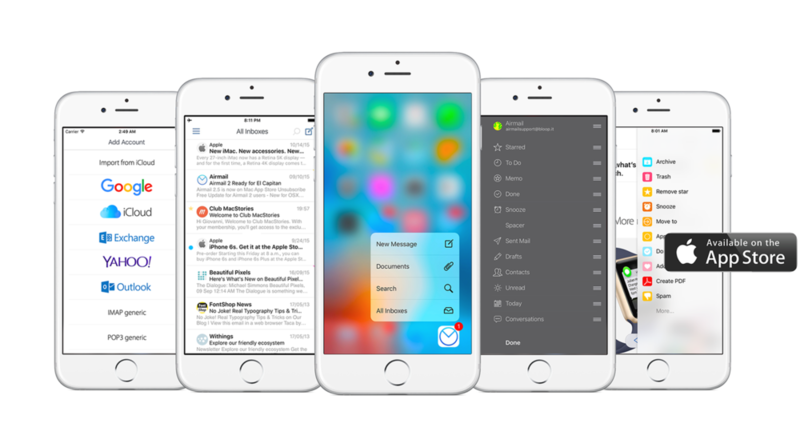 It works similarly to any default email app, but feels much less cluttered and more focused. It's best feature is it's "distraction-free" design. That's actually quite lovely. It focuses on one thing at a time (even on the Mac app) and uses lot of white space accented with soft colors to separate inboxes and conversations. It doesn't have Mailbox's famous "snooze" feature, but for users who just want a simple email app, this one might be perfect. Works for Gmail, Office, Yahoo, iCloud, and just about any IMAP. It's free for mobile and $20 on the Mac, and works on iPhone, iPad,  Watch, Android, and Android Wear.